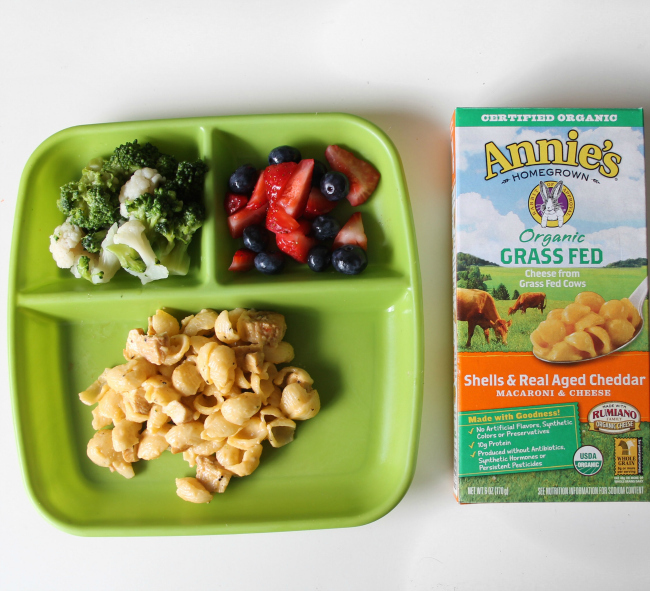 Recently on snap chat I shared how I found Grass-Fed yogurt and mac and cheese from Annie's. 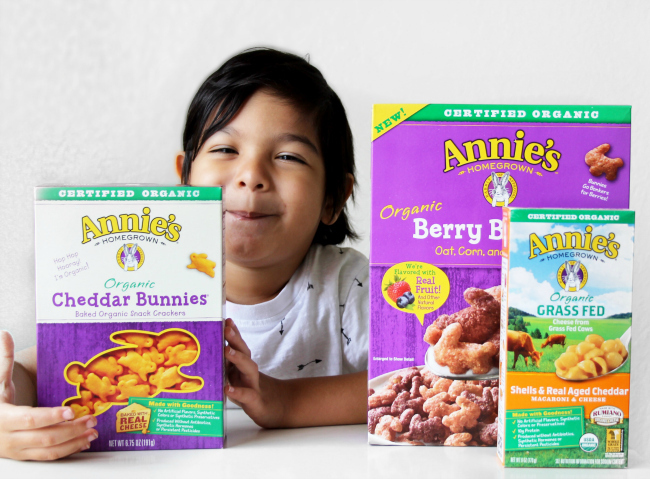 Grass-Fed products are a huge must in my household and knowing that Annie's is giving me so many options at a great price is such an amazing feeling. I want Evan to have and eat the best always. Annie's gives me the satisfaction of knowing that I am doing a great job as a mom. 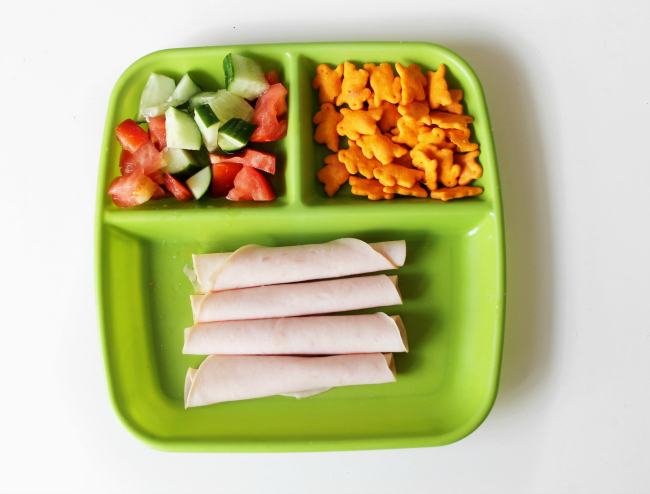 Today I am sharing with you what Evan eats in a day. Everyday is a little different but in one way or another Annie's is always part of every meal. BREAKFAST: We keep breakfast pretty simple. He normally has a bowl of cereal or Eggs with fruit and yogurt. 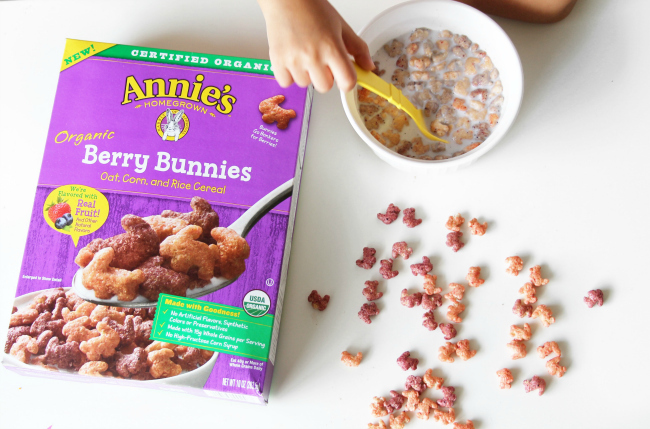 On this day Evan had Annie's Homegrown Berry Bunnies cereal. We just started purchasing this cereal and he is loving it. 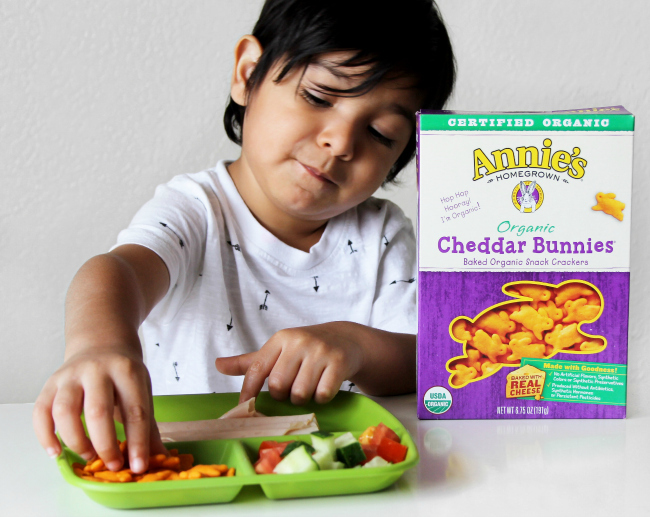 LUNCH: Turkey rolls, fresh veggies and Annie's Homegrown Cheddar bunnies is what makes this kid happy. I even carry the cheddar bunnies in my purse because is Evan is that obsessed with them. DINNER: I add grass fed butter to our Annie's mac and cheese with bits of chicken and it is so good!! We all have this for dinner. Evan loves broccoli and cauliflower, which he calls white broccoli. He also has fruit with his dinner. WHAT HE SNACKS: Evan snacks a lot throughout the day. He will snack on fruit, granola bars, nuts, but his favorite snack is cheddar bunnies from Annie's. 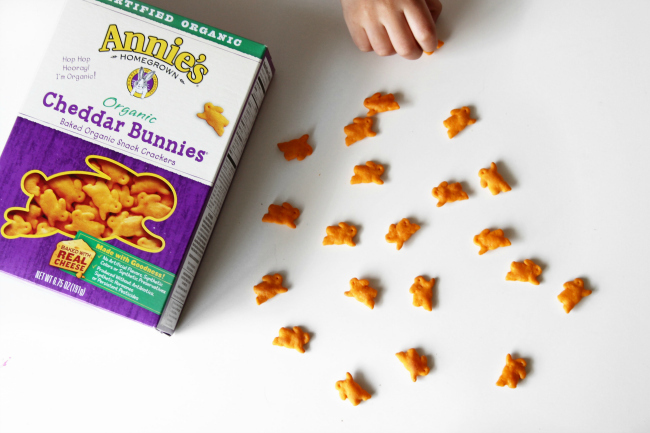 What is your favorite Annie's Homegrown product? Have you tried any of their certified organic products? Share your meal ideas down below. For more meal ideas CLICK HERE!